I stole this from Emma at emmaiswriting and it’s just a bit of fun so enjoy my answers and feel free to steal it if you want too! Author You’ve Read The Most Books Of: James Patterson by far! He is the God of crime novels in my eyes and his Women’s Murder Club series are amazing! (I’m aware Beckie at beckiesbookmix wrote almost exactly the same thing…) The second I finished 1st To Die (the first book in the series) I knew I was hooked! Best Sequel Ever: I enjoyed Catching Fire in The Hunger Games series however the third one I struggled with a fair bit! Without sounding like a broken record, the Women’s Murder Club sequels are fantastic – all 11 of them! Drink Of Choice While Reading: Erm, I don’t know – nothing specific. Probably just water! eReader or Physical Book: Actual book because still to this day I don’t own a Kindle and I don’t plan to buy a Kindle because I’m a bit technologically challenged so the easier the better! Fictional Character You Probably Would Have Actually Dated In High School: I went to an all girls school, does that mean I have to pick a girl? I’m kidding, possibly Charlie from The Perks of Being a Wallflower :3 He’s so cute. Glad You Gave This Book A Chance: Close My Eyes by Sophie McKenzie. At first I had so many bad things to say about that book but I’m glad I finished it as the ending was really gripping. It wasn’t the best book in the world but I’m glad I stuck it out. Hidden Gem Book: Stephanie Keyes and The Star Child. This was one of the books I was given by Loveahappyending magazine and I’d never heard of the author or the book before but it was amazing and unlike any other YA books I’ve ever read! Important Moment In Your Reading Life: The first time I got a review request or the first time one of my favourite authors replied to my tweet! I still remember how excited I was! FYI it was Dorothy Koomson! Just Finished: The Gift by Cecelia Ahern – amazing book! Major Book Hangover Because Of: The Fault In Our Stars, ugh I didn’t know what to do with myself after that I was so emotionally drained and I couldn’t really think about anything else for a while. I’ve never cried so much at a book or even a film before reading that! One Book You Have Read Multiple Times: Again, The Age Of Miracles by Karen Thompson-Walker. I don’t tend to read books more than once except that one which I’ve read twice. Preferred Place To Read: Wherever! Quote That Inspires You/Gives You All The Feels From A Book You’ve Read: Ooh I have two, firstly there’s, ” If you accept that the universe is infinite, then that means there’s an infinite amount of chances for things to happen, right? Well, if there’s an infinite amount of chances for something to happen, then eventually it will happen – no matter how small the likelihood. That means, somewhere in space there’s another planet that, by an incredible series of coincidences, developed exactly the same way as ours. Right down to the smallest detail.” From The Beach because I loved that book and that film and that’s my favourite quote of all time. Secondly is, ” So, this is my life. And I want you to know that am both happy and sad and I’m still trying to figure out how that could be,” from The Perks of Being a Wallflower. I know it’s a bit cliché but at the time I was reading that book that’s exactly how I felt and I’ve never had a feeling like it. Reading Regret: Nothing springs to mind really. Can’t say I’ve ever read anything that bad ha-ha. Series You Started And Need To Finish: As sad as this may sound, I really want to finish the 50 Shades of Grey series. I got halfway through no. 2 and got really bored because it was the same things over and over again but I’d like to see how it ends! Unapologetic Fangirl For: James Patterson. If I met him I’d probably puke. Then faint. Very Excited For This Release More Than All The Others: Oh lord I don’t know, I’m not very good with new releases. I only seem to notice a book once it’s out and slapped me in the face. X Marks The Spot: Start At The Top Left Of Your Shelf And Pick The 27th Book: The Woman In Black by Susan Hill. I encourage everyone to not only read this but go and see the play! Lots of people can’t understand how a play can be scary but it was terrifying. Amazing but terrifying. There was people in the audience actually crying! Your Latest Book Purchase: Erm, I can’t remember the last time I actually bought a book for myself but I got some for my birthday and they were: One Hundred Names by Cecelia Ahern, The Great Gatsby by F. Scott Fitzgerald and The Fault In Our Stars by John Green. ZZZ-snatcher book (last book that kept you up WAY late): I don’t tend to stay up late and read because it makes me too tired then I don’t know what I’m reading! Sorry! Previous ArticleLibraries: are they soon to be a thing of the past? I did this on my blog, as well. I stole from you! 😉 Thank for the inspiration to do it! Just water when reading?! I need to get some Tea into your hands. 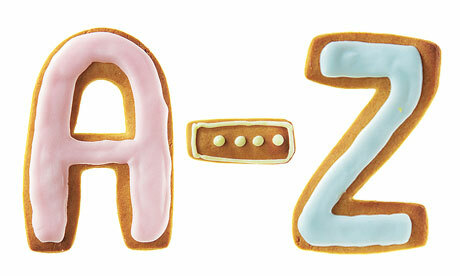 I like the A-Z survey – it’s nice to find out things about you. So this is why my ears were burning! I thought it was the fall chill in the air. Thank you so much Jenny for listing The Star Child as a “hidden gem”! Love it! Thanks Jenny, Linn, and Patricia for all of your kind comments. 🙂 You made this girl smile. Haha sorry, I’ll try and be more discreet next time I’m talking about you 😉 You’re more that welcome – it was a great book! Ha! Definitely no discretion needed. 🙂 Love it! Thanks for this entertaining list! You are so right about so many of these books … one in particular that you mention, The Star Child by Stephanie Keyes, is indeed a hidden gem. What a talented writer she is! Ha-ha, you’re more than welcome! Stephanie Keyes is a fantastic writer and such a lovely person too! Looking forward to reading more of her books in the future! Drinking my coffee and there were a few laughs and splutters – GREAT list! Love your quotes, totally agree with your ‘hidden gem’ The Star Child by Stephanie Keyes (amazing) and so agree with you on 50 Shades of Grey … though I was alone on that one! James Patterson – oooh! And no you’re most definitely not alone! I’m not ashamed to admit I actually enjoyed the first book but then it got a bit old… I think maybe I should have waited a while before starting the second one!